Clubmans Formula car: a development of the MK8B with a new wedged shaped "shark" nose and revised suspension geometry. Successes included: 1971 - Ray Mallock, Shell Clubmans champion with 22 wins and 9 lap records. 1972 - Robert Glass, Peter Wingfield champion. 1973 - David Morris, Prescott Gold Cup champion. 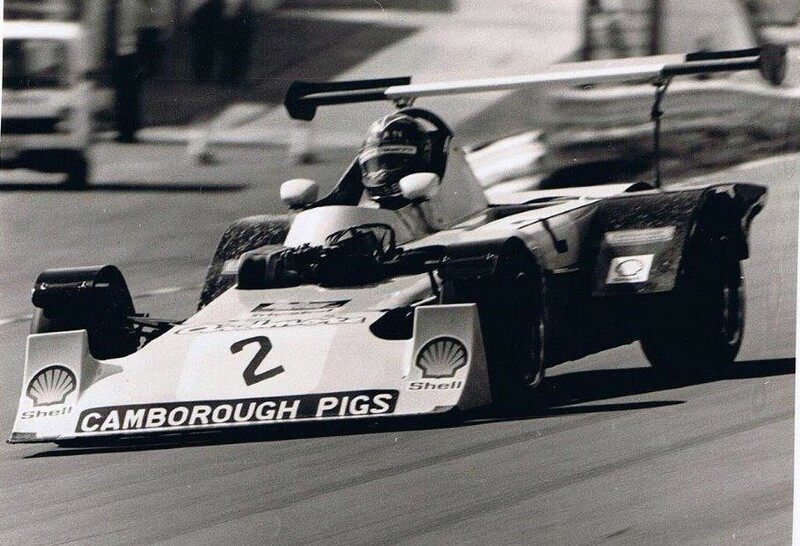 1974 - David Morris, Prescott Gold Cup champion. 1974 - Barry Joel, Northern Clubmans champion. Formula 3 car: the first F3 Mallock for seven years was a one-off built for Ray in mid-1971. Later that year, the MK11B was productionised for Clubmans racing and sold at the end of '71, through '72 and '73. Unusually, there was no updated car offered for the 1973 season as the MK11B was still selling well. Successes included: 1972 Geoff Friswell, Shell Clubmans champion. 1972 - Chris Cramer, Shell Leaders Hillclimb champion. 1973 - Frank Sytner, Tricentrol Clubmans champion. 1974 - Creighton Brown, Shell Clubmans champion. 1974 - Creighton Brown, Tricentrol champion. 1993 - Keith Norman German Open Historic champion. Formula 3 car: a heavily revised version of the MK11B featuring new front suspension, fabricated front uplights, a disc brake De Dion back axle and a modified chassis. For 1973, all the same options in the MK11B range were offered in De Dion spec and badged MK12S. Successes included: 1973 - Richard Mallock, Shell Clubmans Champion. "MK13" name was not used. Clubmans Formula car: a development of the MK11B. Later, a MK14E was built as an experimental car with an upswept tail and a rear-mounted radiator. Successes included: 1974 - Alex Ferrada (car from MK11) Marler Hayley Clubmans champion. 1975 - Nick Adams, Tricentrol Clubmans champion. 1975- Nick Adams, Marler Hayley Clubmans champion. Clubmans Formula car: a De Dion version of MK14. 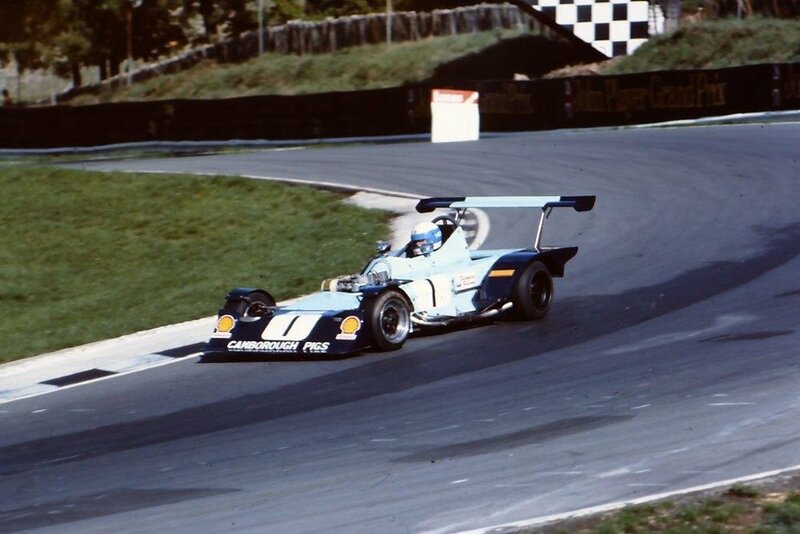 Successes included: 1974 - Richard Mallock Multiple Clubmans Championship race wins. Clubmans Formula car: the last of the generation of short wheelbase cars and a development of the MK14 with sales of around 20 cars. Successes included: 1975 - Geoff Friswell, Southern Organs Clubmans champion. 1975 - Geoff Friswell, Lec Refrigeration Clubmans champion. 1976 - Alex Ferrada, Oceanair Clubmans champion. 1977 - Dud Moseley, Oceanair Clubmans champion. 1977 - Dud Moseley, Tricentrol Clubmans champion. 1977 - Norrie Galbraith (MK8/16), Scottish Sprint champion. 1977 - Norrie Galbraith (MK8/16) Scottish Hillclimb champion. 1981 - David Orbell, Protectol Clubmans champion. 1986 - Tony Long, Canadian Sports Racing champion. 1991 - Mike Lee British Hillclimb Leaders champion. 1992 - Mike Lee Haynes, Gurston Down Hillclimb champion. 1992 - Mike Lee, Winner, Prescott Gold Cup. Clubmans Formula car: the De Dion version of the Mk16. A Mk17B was also tried with a stiffer chassis and narrow track suspension. 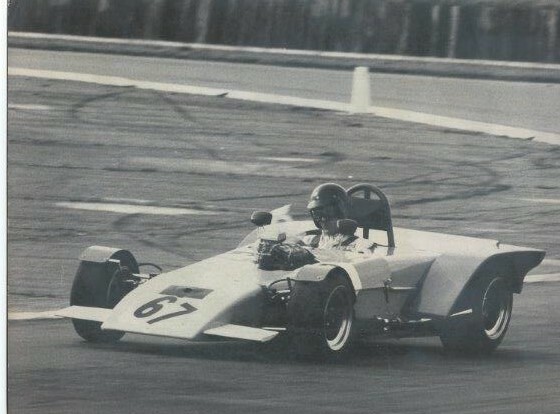 Creighton Brown and Frank Sytner both had many successes with the MK17s; Creighton in Clubmans and Frank in Formula Libre with a 1850cc Cosworth FVC fitted; he was a real crowd pleaser, playing David to F2 and F5000 Goliaths. Clubmans Formula car: a longer wheelbase development of the MK16 with an extra four inches mainly in the engine bay. At least 20 cars were sold making the MK18, along with the MK16, the most popular Mallock ever built. Successes included: 1976 - Nick Adams, Sytner of Nottingham Clubmans champion. 1976 - Ian McCullough, Northern Clubmans champion. 1982 - Alan Lloyd, Winner, Prescott Gold Cup. 1984 - John Istead, BARC FTD Awards Hillclimb champion. 1984 - Alan Lloyd, Gurston Down Hillclimb champion. Clubmans Formula and Formula Ford 2000 car: the main change over the MK18 was greater chassis rigidity at 1800 lbft per degree. A variant of the MK18B Clubmans car was later designated the MK18BW to denote a "Watts linkage" back end, which replaced the Panhard rod, while the MK18C had the Watts linkage within the chassis. Successes included: 1977 - Ian McCullogh, Norther Clubmans champion. 1978 - Malcolm Isaacs, Tricentrol Clubmans champion. 1979 - Phil Martin-Dye, Oceanair Clubmans champion. 1979 - Phil Martin-Dye, Tricentrol Clubmans champion. 1983 - Peter Clark, Oceanair Clubmans champion. Clubmans Formula car: advertised over the winter of 1976/77 as a De Dion version of the MK18B. The final Mallock design to have a De Dion rear axle. The ever-increasing downforce created by the car's rear aerofoil, underbody and side pods swinging the balance in favour of live axle again. Only one produced. Clubmans Formula car: detail changes over the MK18 included improved aerodynamics from revised bodywork. Successes included: 1978 - Alan Webb, Abdex Clubmans champion. 1979 - Chris Hill - MCD Clubmans champion. 1979 - Chris Kite, Formula 1300 champion. 1980 - Chris Kite, Formula 1300 champion. 1981 - Chris Kite, Formula 1300 champion. 1982 - Will Hoy, BARC Clubmans champion. 1984 - Alex Graham, Grampian TV Scottish Hillclimb champion. 1984 - Alex Grham, Scottish Sprint champion. 1986 - Chris Hill, BM Sport BARC Sprint champion. 1990 - Glenn Eagling, WOMA Clubmans Overall champion. 1990 - Glenn Eagling, Robolift Sports 1600 champion. Clubmans Formula and Formula Atlantic car: the was a "ground effect car" and revisions over the MK20 centred on airflow over and under the car with the result being bodywork changes. The full length of the car was used to generate downforce rather than just the sidepods. A one off Formula Atlantic car was built and raced by the works but at the end of the year that chassis was converted back to Clubmans specification. Later in 1979, a MK20E was run from the works as an experimental car in Clubmans races. Later, Martin Groves describes his highly successful hillclimb can as a MK20BT. Successes included: 1981 - Malcolm Jackson, Oceanair CLubmans champion. 1982 - Malcolm Jackson, Tricentrol Clubmans champion. 1983 - Malcolm Jackson, Tricentrol Clubmans champion.